Posted April 8, 2018 by Apoch. 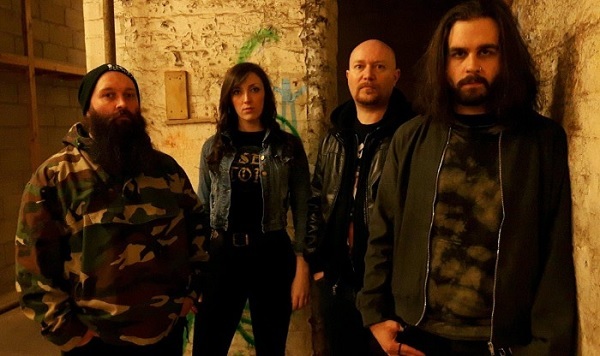 Seeking to lay waste in an environment already dissolute, Nomad are a 4-piece sludge / doom band bred from Manchester, UK. Their aim is to send you on a bad trip or at lease maim you along the way. Since forming in 2012, the Mancunian quartet has had the privilege of playing with some of the sludge / doom genre’s heavyweights including Eyehategod, The Obsessed, Prong, Orange Goblin, Raging Speedhorn, Conan, Church of Misery, Bongripper, Dopethrone, Boss Keloid, BongCauldron, Gurt as well as three Terrorizer-sponsored UK tours. Metalheads across the UK are under no illusions as to the ferocity of their live shows. “Feral” is their first full-length album following the release of their two EPs (‘The House is Dead’ – 2014 and the ‘NOMAD/WORT split’ – 2015).